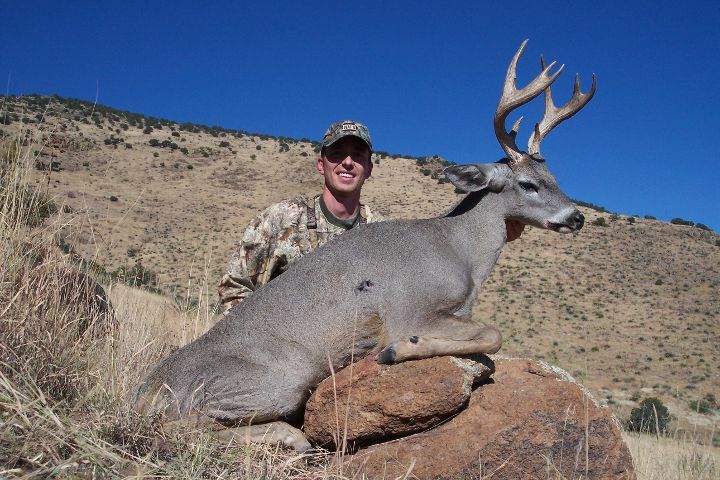 Donald seems to have no trouble at all getting Coues bucks with his muzzleloader. 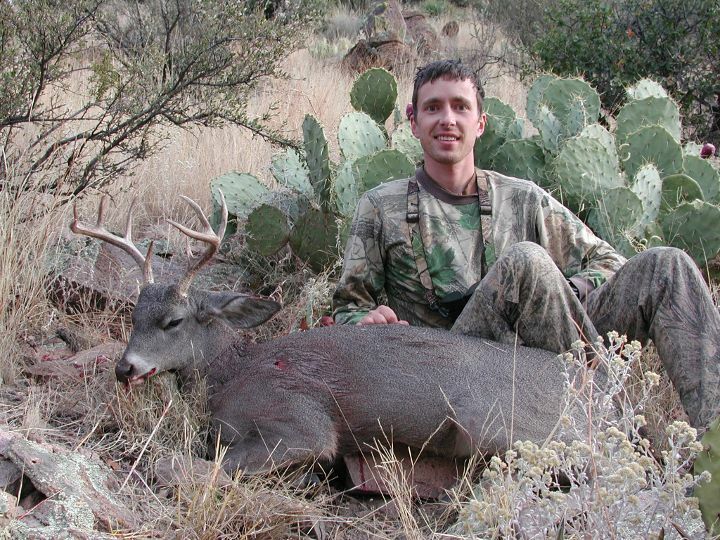 Here are his 07 and 08 bucks and his 06 buck is shown at the top of this page. His 2004 buck is here. 2007 Buck On the last morning of the hunt I was able to get a shot at this buck at 154 yards. He was on the same hillside where I had seen him the day before, but this time I was within range. He scores 87″. 2008 Buck My brother and I had only 2 days to hunt due to school and work commitments, so on the final day after not glassing up any bucks all morning we decided to work our way through thicker cover in the hopes of jumping something up. I was in the lead when this buck jumped up at less than 10 yards and when I got a clear shooting lane at 40 yards I shot and hit him good. My brothers and I had seen this buck several times over the past 2 seasons, but he had always eluded us before. He scores 95″ with only a 10″ inside spread.